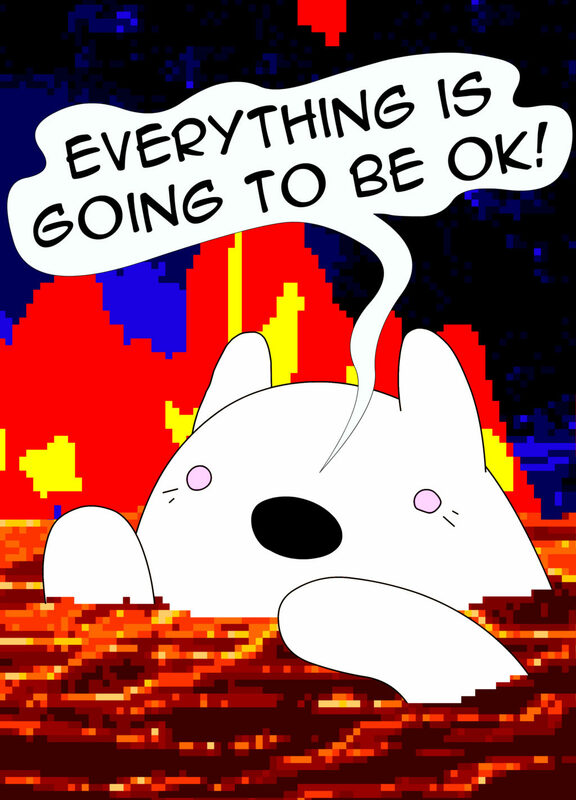 “Everything is going to be OK” is a collection of life experiences. It is an interactive zine exploring alternative views of power from a survivor;s standpoint, and is a commentary on struggle. The focus is largely on bringing humor into “dark times”. It offers different perspectives on what it means to live with things like PTSD. The underlying theme is that you are normal for your imperfections, and the way you cope. You are the hero in the story of your life, and you have every right to be proud. The goal is to strip the shame out of talking about things like this. Nathalie Lawhead (aka alienmelon) makes interactive art that some people call games. They started as a net-artist in the late 90´s, early 00´s, and have been making experimental digital art ever since.